The innovative caring &apos;shield factor&apos; within Clynol Viton Cream Peroxide 6% 1 Litre helps boost the condition and shine of your colour finish. Available in 4 different strengths to suit all needs. 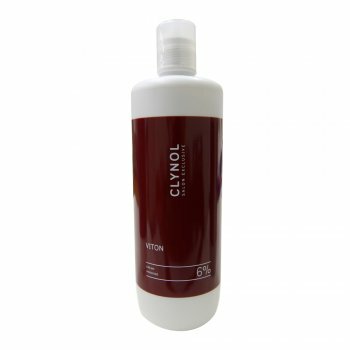 Clynol – Shaped by Stylists. State of the art technology combined with outstanding quality. These are the two main philosophies Clynol stand by and it&apos;s why they are an excellent choice for your professional hair and beauty salon.